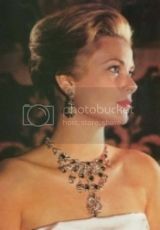 Sooooo Diana was really ugly and crazy and a terrible mother-lucky escape she will never be queen! But Camzilla, there's another story. Not only stunningly beautiful and glamorous but also a FAR better mother. Kinda like Catherine Parr really. Camzilla's beauty inside and out called for the crown jewels and of course HM obliged immediatey. She knows to step away when a REAL queen enters the stage. Some of the top comments on this Boucheron Tiara article are revolting. I think Camilla looks great. Have always liked her...especially her sense of humour. I smell a huge PR rat. Camilla is being desperately pushed onto the public just as HM's health starts to decline; similarly Waity is getting a lot of good press, but most likely from her own family. This is an attempt to take the temperature of the British people, with regards to Camilla ... most won't stand for it, regardless of what the DM allows to be printed. I'm not aiming to be popular, but I think in other pictures Camilla did look rather nice. 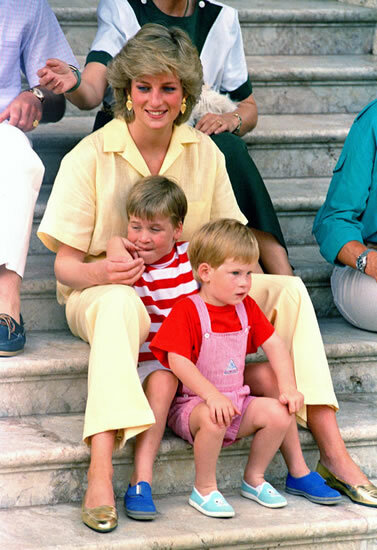 If Diana was alive today, she wouldn't be the young one she was in the picture being used for comparison, and she wasn't ageing well before she was sadly killed. I kind of met Camilla once. I was stood close to by where she and PC was walking. Right stuck up so and so wouldn't talk to any of the public and certainly was not a beauty. Camilla always looked hag like even when in her thirties. I think Diana would have looked fantastic if she were alive today. I disagree that she didn't age well. Diana's mother stayed beautiful and I think Diana would have too. IMO Camilla looks ok from afar. But up close she hasn't aged well and her face seems somehow weird (surgery I suppose ). She also doesn't know how to dress for her body and neither does she have much class walking (see walking the steps at parliament). It's obvious they are selling a glam version of Camilla now. Jealous of Kate? Trying to make her more popular? They are doing it wrong in any case. They should sell her using other claims because no one is going to say Camilla is stunning for real. Private or public event? I've always heard she is nice. Camilla will grin and shake hands but to me that does not necessarily make her "nice." There are sleazy politicians who meet the public and some do find them "nice". Camilla to me demonstrates she is out for Number One and stands for the motto that bad deeds bring untold rewards. Jane has aged fairly well so I'm sure Diana would have also. Frances was elegant and lovely til the end. Sarah doesn't look bad either, but I always thought Jane and Diana looked more alike in some ways. ^ A bit of both, it was at the three counties showground Malvern. I was stood by the enclosure waiting for my friend to meet me, I didn't know they were there they walked past she looked at me, I said hello because I didn't quite know what else to do and they carried on walking. She ignored a few people that day and they parked their car in the most busiest part of the showground and I was surprised that there was more security protecting the car than PC and Camilla. A huge difference from when the Duke of Gloucester was there, he was lovely, although embarrassingly I didn't know who he was until I watched the news. A nice person could not plot and plan the things that C&C did. Their actions show people who are heartless, selfish, thoughtless and cruel. Camilla looks like the cat who got the cream .. and to all her supporters.. I wish you such a person to befriend your daughter in her marriage..
A vile, cold and calculating woman .. to those who thinks she looks nice .. I wish such a friend to befriend your daughter .. not so nice now eh ? It isn't just the DM. 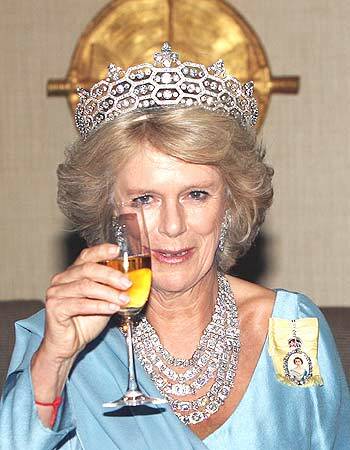 It appears to be the new rehabilitate Camilla's image. I guess the trip to Parliament was to make her look regal. A sow's ear and a silk purse comes to mind.